WARNING: Don’t Buy A Garden Shed Online Until You Read This! 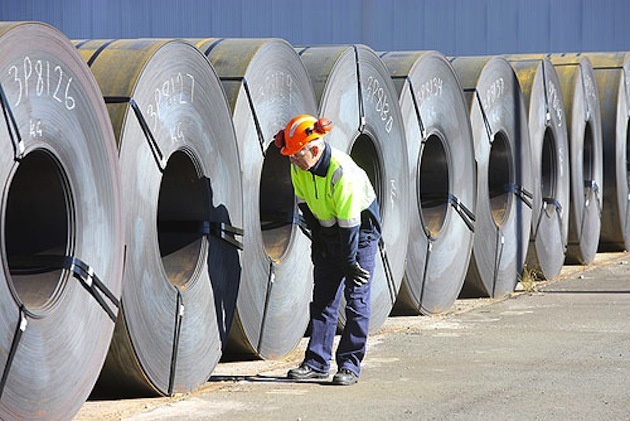 Steel Prices on the Rise: How is this Good News for You? Gutters have a very important job to do, collect rainwater from your terraces and transport them to your drainage system. Leave it to them and they do a great job. However, your gutters don’t always perform efficiently. Clogged gutters are something we are all aware of and can be a big problem. Drainage problems can happen for many reasons and a clogged gutter can become an expensive thing to handle. However, if you take the proper precautions you can prevent this in advance. In this article, we give you some tips on how to be in control of your gutters condition and avoid trouble down the track. When you have trees, you have to be ready to cope with the shedding of leaves and twigs. These leaves and twigs can clog your gutters. Birds and insects can cause problems in the gutters too. Either dead bugs or beehives, bird droppings and nests are all clogging risks. If you have kids they may have toys flying all over the backyard, and it’s not uncommon for balls to be lodged in the gutter and not reported to the parent. Your gutters, pipes, and downspouts are manual fittings. It is natural for erosion to take place. The gutter and pipe holders can rust or break as well. These can cause damage to your gutters and prevent the water from flowing smoothly. Airborne debris can also clog your gutters. How Do You Prevent Clogging? Now that you know the reasons for clogged gutters, preventing it should not be a tough job. Gutter guards can provide the best solution to prevent debris clogging gutters. A gutter guard is a covering that stretches over the entire length of the gutter thereby preventing debris from falling into the gutters. It can be in the form of a wire mesh or a permanent opaque cover. Anyway, the main purpose of the guard is to prevent accumulation of debris. More than anything else, the principal area of clogging is the place where the gutter opens out into the downspout. All that it needs is a handful of leaves and twigs to choke the opening. A choked opening can lead to water collecting inside the gutters that could well, overflow over the sides on to the walls. This is the beginning of the extended damage water can cause. Hence, one should ensure to clean this area once a month, even when it does not rain. You cannot wait for the rain to come and then set about cleaning these areas. It makes your job tougher. One of the principal reasons for clogging of gutters is the accumulation of leaves and dry twigs. Trim the trees in your garden so that they do not hang over your gutters. This way, you can minimize the accumulation of debris. The thumb rule is to keep these trees a minimum of eight feet away. It is better to have a thin wire mesh running across the gutters to trap such debris from falling inside. Keeping your yard clean is also one way of ensuring debris does not land up in the gutters. Sometimes the problem can be elsewhere. Your downspout might have broken or have developed leaks. These are easily repaired with spare parts from your local store or if you are not confident you can call in a local handyman who can quickly solve the problem. The underground drains, especially the place where the downspouts open out can also cause problems. This is a job for a professional unless you have some experience. We discussed a few solutions for blocked drains in ‘How to Deal With Blocked Drain Pipes in Your Home but seeking professional is best in these circumstances. The quality of your gutters is also important. If your gutters are from the 70s and rusted, they may need replacing ASAP. Gutter designs have improved over the years so installing high-quality gutters can be worth the investment. They can be expensive initially, but over a period the costs will even out. In fact, these premium grade gutters can outlive and outperform the medium quality gutters. Hence, they save you a lot of money in the long run. Ensure that these premium grade gutters come with covers. Invest now to have peace of mind later on. Gutters are important fittings. Neglecting them can cost you dearly. Clean them regularly and ensure that debris does not collect inside your gutters. The trick is to maintain them in perfect condition throughout the year. Waiting for the rains to come or snow to fall can prove too late. Being prepared to handle any critical situation is the hallmark of a responsible household head. DIY Project Expert. I love a good DIY project. From projects around the home to helping a mate, I’m always looking to get stuck into something new. I also keep an eye on trends and what’s the latest in home improvements. Writing about the stuff I love is also a bonus and I enjoy sharing my knowledge with other people.